“The whole life is a quiz” is what the German comedian Hape Kerkeling sang in 1991 and it seems like nothing much has changed since then. Well, in the 90s quizzes mainly took place in TV game shows and not in mobile apps, but the love for quiz games remained unchanged. Given that, it should be quite easy for TriviaHub by ThreeRoads to get us all enthusiastic about their quiz collection, right? Let’s find it out! Hope you haven’t skipped your history lessons! 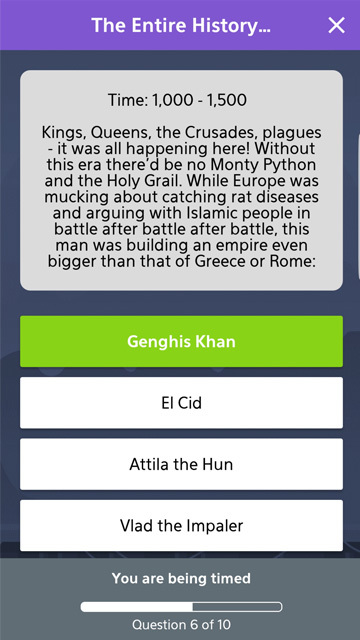 Since I don’t want to keep you on tenterhooks, I’ll say it right away: TriviaHub is the biggest, most varied and comprehensive quiz game, that I’ve ever seen or played on a mobile device. Actually, on every device ever, from the Atari 7800 to my latest high-end gaming pc. There are – literally – ten thousands exciting quizzes of all kind, so definitely more than one human being will be able to play in an entire life. Plus, you’ll get special questions every day, you’re able to chat and challenge other players and you can compare your skills in global leaderboards. 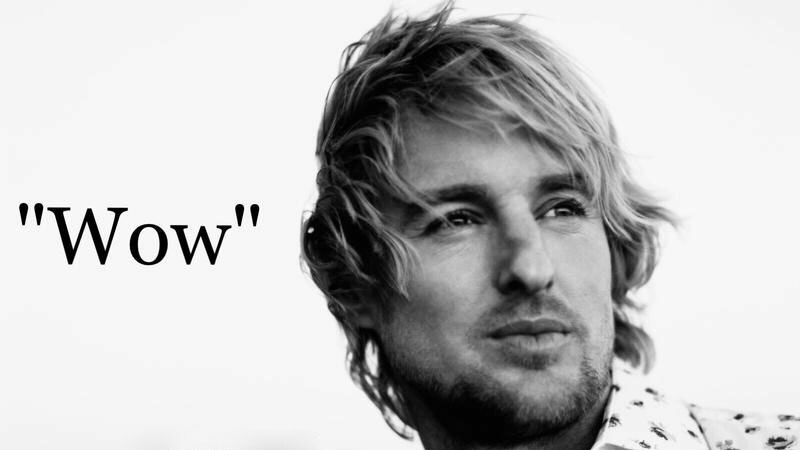 Owen Wilson’s seal of approval. Quoting Merriam Webster, an overkill is “an excess of something beyond what is required”, but I honestly don’t think that any of this is unnecessary or over the top. With its user-generated content of high quality, TriviaHub just set a new standard and every new quiz game, that gets a review by Daikon Media has to benchmark against it. Still, there are dozens of other quiz games with a better rating and more downloads. But why? It only seems like a question of awareness and marketing, because there’s hardly anything to criticize product-wise. Sure, the quizzes could look a bit less like the 20th century, especially if the developers already prove their sense of design with “Tinker”, their robot mascot (see screenshot below). Okay, the game comes along as deaf and dumb as… as… yeah, I don’t even know another game like this, since even Pong defaulted the sound chip – and that was 46 years ago. But this isn’t crucial for a games’ success, I would say. The only thing I really miss is a German language version. As English is not the native language of everybody, it would be a cool idea to have the opportunity to switch and scan the data base for quizzes in your own language. 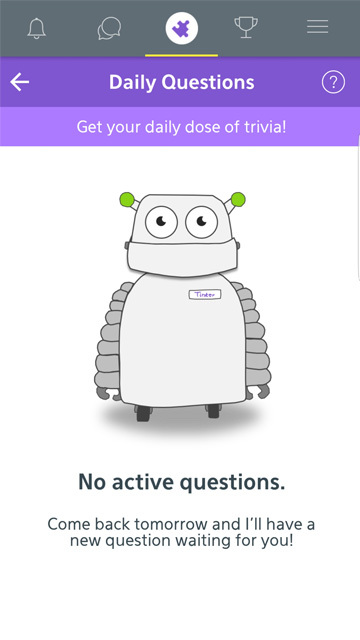 Meet “Tinker”, the TriviaHub robot. TriviaHub will satisfy all your quizzing needs. Give it a shot and you’ll never need another quiz game, promise! Here we go! All pictures are in-game screenshots. Source of the meme is knowyourmeme.com.